RICHMOND, Va. — On a hot July morning, Christy Coleman recounts the tales of hundreds of slaves who worked at the Tredegar Iron Works, a foundry located along the James River and a national landmark where weapons of the Confederacy were made during the Civil War. As she describes the burning of Richmond, Coleman explains how the ironworks survived and represents a tangible part of American history. Contemplative, she looks around the 9-acre property. A natural born storyteller, she is animated as she details complexities of Civil War history that took place where she stands. “History is all around us, we are living in the midst of our history, the question is how do we choose to navigate it?” said Coleman, who became the president of the American Civil War Center at Historic Tredegar in 2008. The museum has three locations: Historic Tredegar, the White House and Museum of Confederacy, and the Museum of the Confederacy in Appomattox, Virginia. It is the first museum to offer the point of view of not only the Union and Confederacy, but also also that of the millions of enslaved persons, free and unfreed, that were involved in the war. While her work as a historian is rooted in the past, her job as CEO of the American Civil War Museum is to ensure the conversations surrounding the Civil War are moving forward. She prides herself as one of the few black women to head a Civil War museum. She said diversity in leadership roles like hers are crucial, especially when it comes to how stories throughout history are told. Coleman has been intrigued by history since she was a child. Growing up in historic Williamsburg, Virginia, home of the state’s capitol during the 1700s, she was surrounded with history. She got her bachelor's and master's degrees from Hampton University where she focused on museum studies. 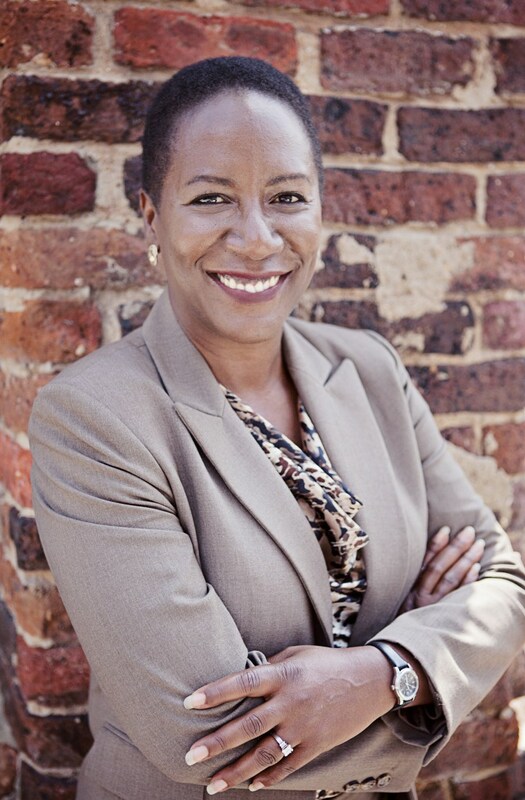 Coleman started her career as a college student at the Colonial Williamsburg Foundation as a living history interpreter and worked her way up to become director of African-American interpretations and presentations. It was in this role that she experienced the “highlight” of her career in 1994 when she orchestrated the reenactment of a slave auction. The auction drew both national attention and widespread criticism when the Virginia chapter of the NAACP tried to stop it from happening. "I want to push the envelope so people can care....I not only want to make them care, but understand." Over 2,000 people gathered to watch the sale of four slaves at a 1774 state auction reenactment where Coleman herself played the role of a slave who was to be sold. Looking back, Coleman says she has no regrets and although it was “one of the most gut wrenching things” she’s ever done in her career, it opened the door for more conversations about slavery at other museums. Related: Opinion: Don’t Take Down Confederate Monuments. Here’s Why. The Civil War was not Coleman’s interest at first, but she was drawn to the complexities and history of the city involved in it. It is a decision she doesn’t regret and, since becoming head of the American Civil War Center at Historic Tredegar, she has reshaped conversations of how the Civil war has been discussed. Coleman wants to give visitors the chance to the understand the war from all sides and keep the conversation open on others who were impacted, including members of the LGBTQ community and women. She says black people avoided talking about the Civil War for a long time because the narrative of the war was taken away from blacks. Her proudest accomplishment as head of the museum so far has been the collaboration and bringing together of 19 cultural organizations to commemorate the 150th anniversary of the Civil War and emancipation. It was a six year effort that included lectures and events to educate the public. Coleman also wrote the script for “Freedom Bound,” an Emmy Award-winning film about slaves looking for freedom in the 17th,18th, and 19th centuries. She was also appointed by Virginia Governor Terry McAuliffe in 2016 to the Governor’s Advisory Council on Furnishing and Interpreting the Executive Mansion. In a time when the removal of confederate monuments and flags are sparking a debate across the country, Coleman has a new challenge ahead of her. Richmond Mayor Levar Stoney has appointed her co-chair of the Monument Avenue Commission, a 10-person committee to evaluate ways to add context to Confederate monuments on Monument Avenue. “I’m honored to serve the city and help have a reasonable conversation as possible,” she said. She believes the communities should have a voice in what happens to them. Related: Is Removing Confederate Monuments Like Erasing History? Looking ahead, she is excited about construction that will take place this month for the new 28,500-square-foot Civil War museum that is set to open in fall of 2018. Whether in her role telling stories of the Civil War or delivering lectures, Coleman will ensure the narrative is told.